When there’s a new arrival in the family, typically we dote on the mother and the baby with gifts and presents – but what about those first time dads? 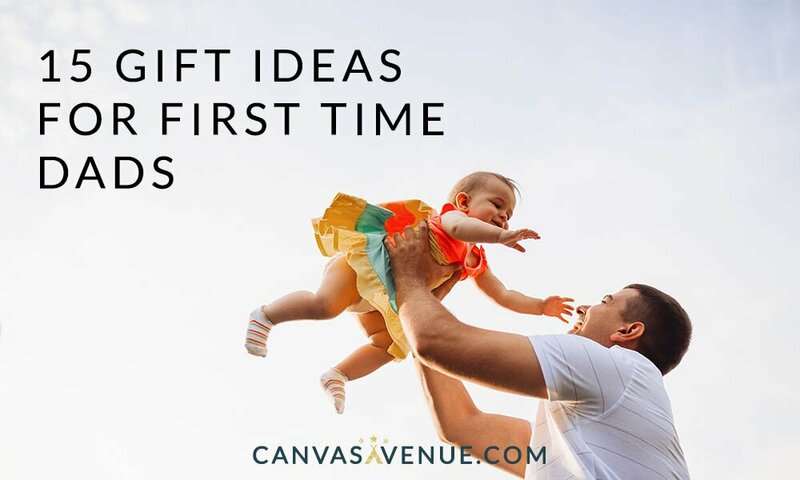 We’ve rounded up a list of the best gift ideas for first time dads, for baby showers, Father's Day, or just because! 1. Drinking buddies matching shirts for the dad with a sense of humour. There’s nothing cuter than a matching outfit for dad and baby. This matching tee-shirt and onesie is a hilarious and cute gift for the first time dad. Get this set of matching shirts from Canvasavenue.com for US$33 (for both shirts). 2. Photo prints on wood for memories that last. A classic for sure. Photo memories can last a life time. But new families will be inundated with regular framed prints and canvas prints. A photo print on wood is a unique and quirky gift that’s perfect for the new father to display in his house. Get your photos printed at woodpic.co.uk. 3. Heated eye masks to get revive tired eyes. Get it from kilpshop.co.uk for GBP 5.28. A first time dad isn’t going to be getting much sleep! A heated eye mask can not only aid sleep, but also help revive tired eyes. They can also help relax and soothe stress. 4. A day out, or night out (if you're feeling extra generous)! Sometimes all a new dad needs is to let off some steam. The best gift for a new father can be to treat him to some time off with his friends, and letting him take a well deserved break from baby duties. Get for a nanny (or yourself!) to be over for a few hours to help take care of the baby. 5. An I Love Dad baby onesie to turn the most macho man into goo. You know what first time dads 100% go gaga over? The baby. What happens when you dress said baby in a "Dad I Love You" onesie? That's right, a formula for turning new dads into mush. Get it from Canvasavenue.com for US$14.90. 6. A Netflix subscription, for Netflix, without the chill. Netflix and chill may have made the man a dad in the first place, but with a newborn in the house, you can bet that entertainment options are kind of limited in his life right now. A Netflix subscription is a great idea for a new father, so he can watch his favourite shows on demand. 7. New dad shirts for the dad who wants to show off his new role in life. Get it from Psychobabyonline.com for US$14.95. Sometimes, the best gift is a novelty shirt. This ‘Dad Bod’ t-shirt is sure to put a smile on any new father’s face. 8. Pregnancy books for the man who doesn't have a clue, but would love to know what to do. Navigating a new arrivial can be tough on dads-to-be, and while there’s plenty of information out there for mothers, we sometimes forget new fathers can need help and guidance too. A pregnancy book for dads is the perfect gift before the baby pops. Get this book at andrewsmcmeel.com for US$12.99. 9. A coffee subscription for the sleepless nights and days that never seem to end. A new baby equals lack of sleep! A coffee subscription from your local roaster would be a welcome gift to help those mornings where it’s just too hard to get out of bed. 10. A family photoshoot for keepsakes the new family would love to have. A family photoshoot is the perfect gift for a new family. Treat the new father to a photoshoot experience with the whole family, to capture the moments for a lifetime. 11. An I Love You Daddy Book for father baby bonding time. Get it from Amazon.com for £3.86. A great way for a new dad to bond with the baby is storytime. The classic ‘I Love You Daddy’ book will help strengthen that bond, and make bedtime feel more special. 12. An engraved leather keychain to bring those fuzzy feelings with him, wherever he goes. Get it from Notonthehighstreet.com for £15. A personalized engraved leather keychain is a way for a new father to be reminded of his new son or daughter everytime he takes out his keys. 13. A white noise machine to make his evenings hopefully more peaceful. Get it from Sleepsolutions.com.au for AUD 79.95. The best gift? A good night's sleep for baby, which also means a good night's sleep for daddy! A white noise machine can help take a fussy baby to sleep, and help them sleep through the night. 14. A jogger stroller for the new dad who wants to stay active. Did you know: Men are likely to pile on the pounds, even during their partner's pregnancy! A jogger stroller is the ideal gift for the new dad who likes to keep on the move. This way he can get his runs in while spending time with his new baby. 15. Pizza delivery, because pizza. If nothing above strikes your fancy (but how could it?! ), the one gift that is practical, affordable, and one almost everyone would appreciate - pizza delivery to his door. Help first time dads get into the groove of fatherhood! We hope you’ve got some great inspiration for buying a gift for a first time father!